Deepika Padukone Says Padmavati Director Brings "Something New Every Time"
Actress Deepika Padukone, star of upcoming film Padmavati, is working with Sanjay leela Bhansali for the third time in five years. "Everyone had the same concern that you're going to work with the same director again and it will be the same kind of film, a historic period film. But I believe he is going to bring something new to the table every time we collaborate, because he is capable of portraying me so differently in three films," Deepika Padukone, 31, told news agency IANS. The actress first featured in Mr Bhansali's Ram Leela, which recently completed five years and in 2015 she starred in Bajirao Mastani. In both films, she was paired opposite Ranveer Singh but in Padmavati, according to the filmmakers, Deepika and Ranveer do not share any scene. 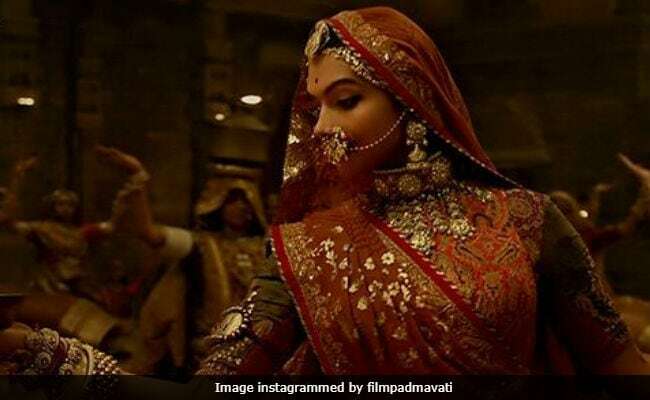 Padmavati's release is currently being opposed by several Rajput outfits over the film's alleged factual inaccuracies and misrepresentation of historical facts. When asked how she researches for her roles for Mr Bhansali's film, Deepika told IANS: "I think it depends from director to director, project to project. I think there are certain films where I would do my own research and prep, and then when you work with a Sanjay Leela Bhansali, you just follow his vision. He is the captain of the ship." Of collaborating with Mr Bhansali, Deepika said: "He doesn't say much to me, and I don't need to say much to him. And it's an observation people also around us have made... There's immense amount of love, respect and trust." After Padmavati, Deepika Padukone will be seen in Honey Trehan's yet-untitled film (to be produced by Aanand L Rai). "I am always up for a challenge, although people around me feel like... I also feel like I need to do something slightly less demanding, slightly less emotionally draining, but I get drawn to these kind of films." Deepika Padukone's Padmavati also stars Shahid Kapoor and it is scheduled to hit the screens on December 1.